They aim to give a voice to local people who own and manage the traditional pastures and meadows in the Blackdown Hills. The Hills contain generations of knowledge about these special places, and they want to help share that knowledge. The rough, wet grazing land in the Blackdowns is hard to farm but rich in wildlife – they want it, and its owners, to thrive. 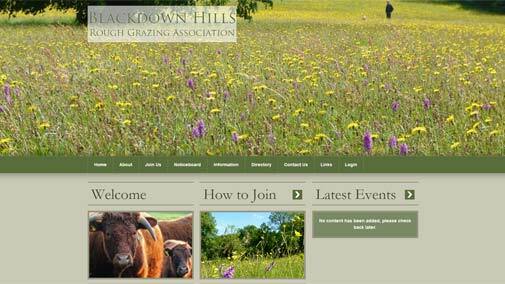 The Blackdown Hills Rough Grazers wanted a website which displayed the brand of their company well. The website features mixtures of greens as well as a rotating image on the home page showing the scenery and farmlife of the Blackdown Hills.